You would definitely want to be the cynosure of all eyes at the evening Christmas ball. Well, then dress up gorgeously in a strapless ball gown, choosing red as your theme color to reflect the spirit of the festive season. 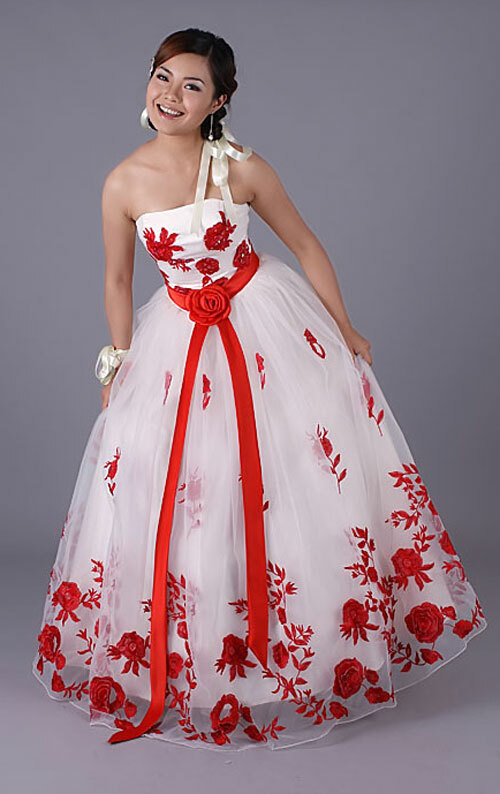 Opt for silver accessories along with glass heels. 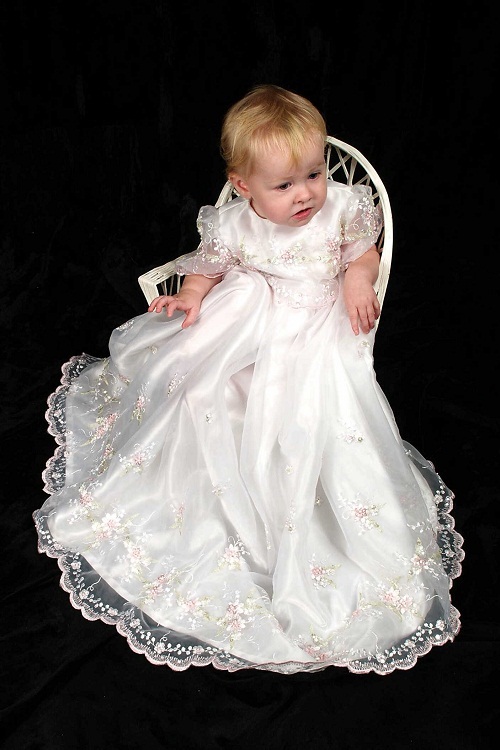 Tie your tresses into a stylish knot and adorn it with a showy crown or tiara. 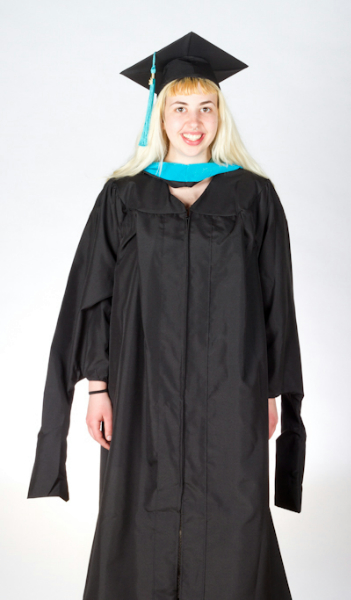 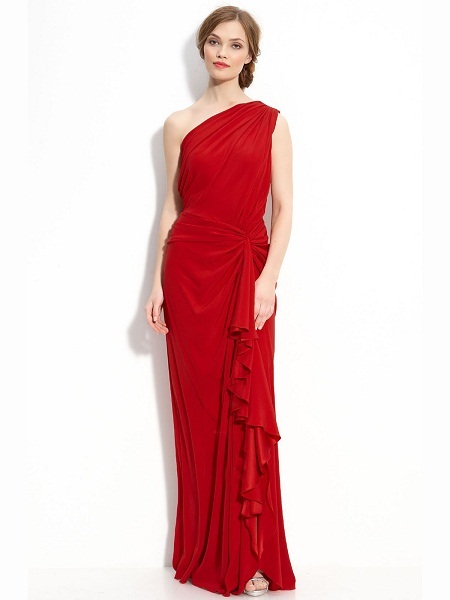 Another alternative choice would be a one-shouldered, red flowing gown. You can even clad yourself in an umbrella cut red and white frock with a red satin belt. 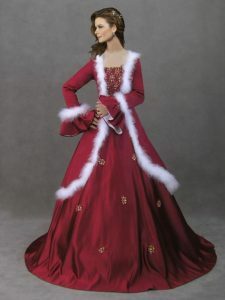 If you are walking down the aisle this Christmas then choose a long, red wedding gown with Victorian sleeves for an ethnic look. Design knee-length red gowns for your bridesmaids along with matching shoes. 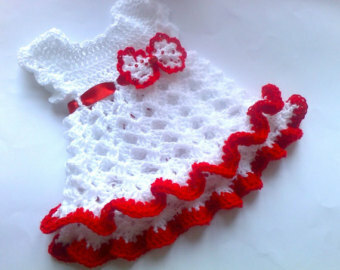 If it is going to be the first Christmas for your little princess then crochet a pretty frock in red and white resembling a gown like the one shown below. You might even team it up with matching crocheted socks and cap. 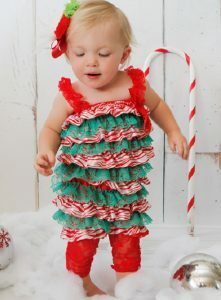 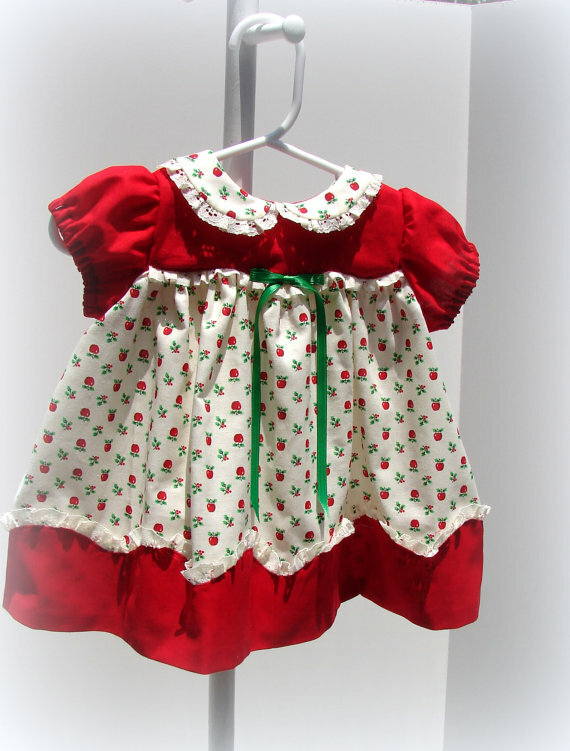 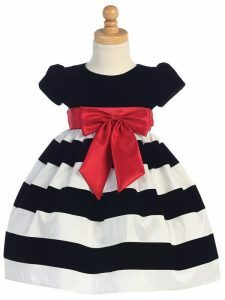 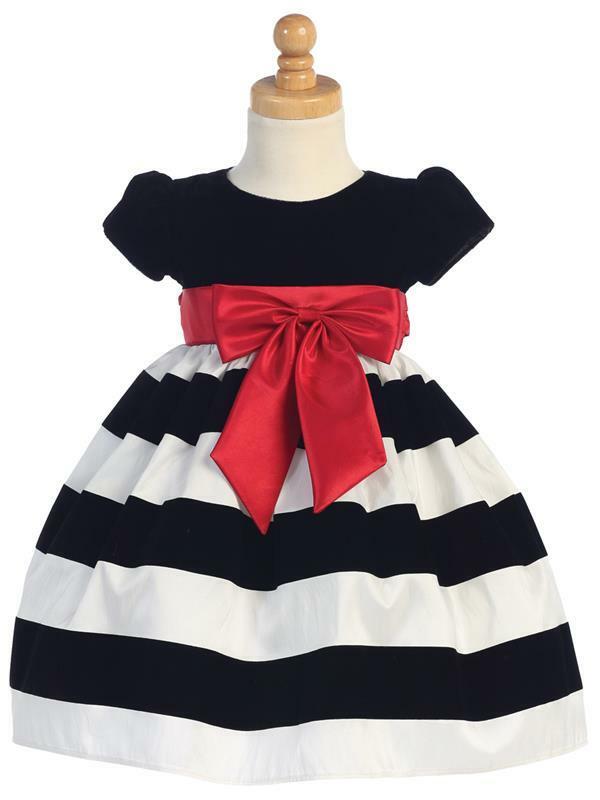 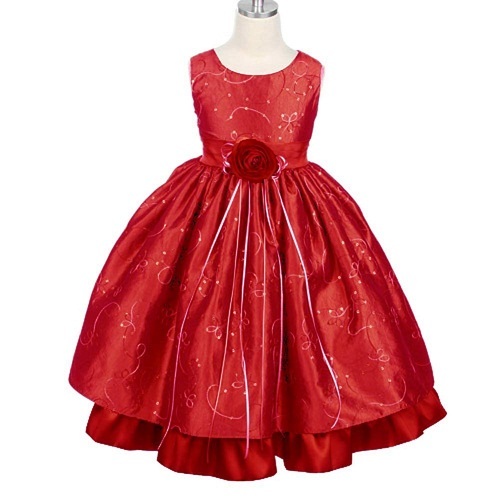 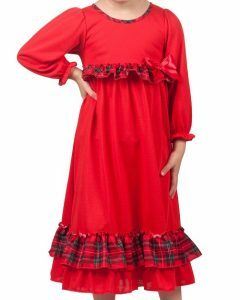 This darling little Christmas gown will turn your baby girl into a lilliputian fashionista. 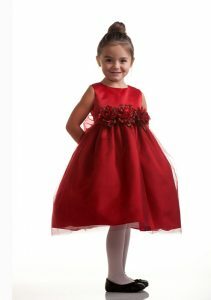 The red satin bow will enhance the charm of your already adorable daughter, making her the object of everyone’s affection. 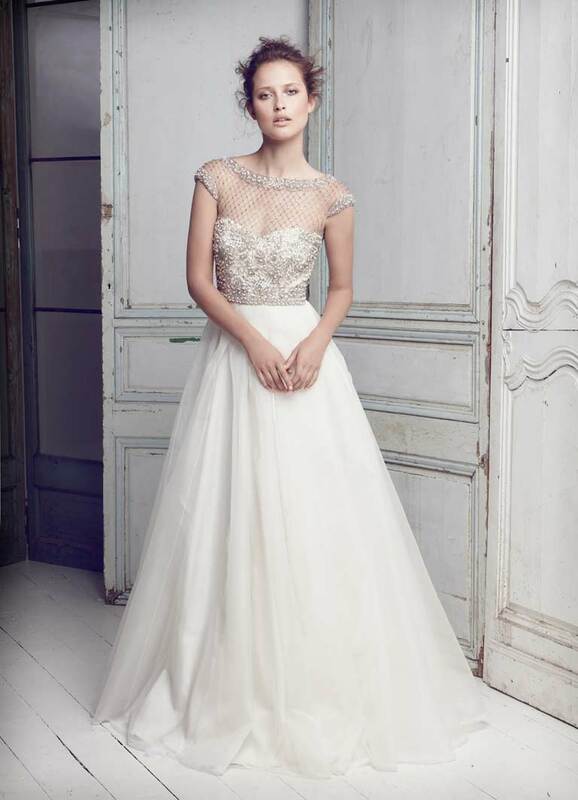 This fascinating Christmas Wedding Gown will turn you into the reigning object of envy as you walk down the aisle giving your bridesmaids and brides- to- be some major wedding dress goals. Don this alluring wedding gown with silver stilettos te bedazzle everyone at your ethereal best!